The RG Flex family of telecommunications power products has been tested and approved by Telcordia and meets the functional performance requirements of GR-347 Issue 3, ATIS 0600017-2014 and TPR9212. Telcordia affirms that L2, L3 and L4 power cables are suitable for use in all telecommunications facilities including central offices, remote terminal applications and outside plant remote cabinets that house electronics equipment. 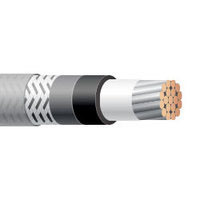 Jupiter Communications is the exclusive distributor for all RG Flex power cables in North America. Please call us today for price and availability.